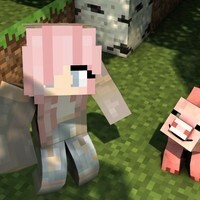 This is a minecraft roleplay that is so far going to be on my realm. I will need voice actors, body actors, builders, and editors, and everything else if you would like to help with anything even skin making you can private message me. Unless you want to voice act then go find a role below and try your best and i will choose on the deadline who can have each role. I want you to be fully dedicated and to try your best. So all builders, skin makers, ect. PM me. 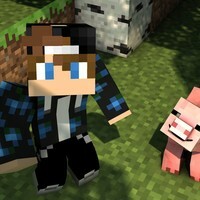 Skin makers and voice actors you dont need minecraft. And if you wanna body act ask me as i dont have any yet. Just try your best, thanks. Ceri is a very nice character and barely does anything wrong she is very cheerful and always happy. She is one of the lead characters and is Needed in the roleplay. *friendly* Hey my names ceri, whats yours? *shy* Omg thank you so so so so much i really appreaciate it. As all schools theres always a bully. And Bethany will go out of her way to make everyones life a living hell. She has lots of attitude and always gets what she wants. You can try to get away. But you never will. NO one cares about you. So you just sit there and rot. Wow what is wrong with you. You are so weak i bet you couldnt even beat a stick. Toby. The schools football captain. And the lady magnet but he only has room for one person in his heart. This is Tom. Toby best friend, Hes the school player and tries to get the every girl he sees. Especially Ceri when he finds out Toby has a crush on him he tries to break his heart. *Big headed* Who doesnt wanna date me. Have you even seen me.